Not only is Charl a champion, he is a stand-up guy – the kind of guy we want on our team. 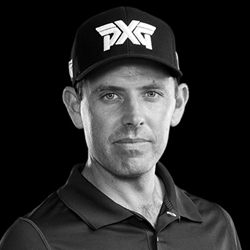 Today, PXG announced that it has signed an endorsement deal with 2011 Masters winner and worldwide champion golfer Charl Schwartzel. Schwartzel is a South African professional golfer who plays on the PGA TOUR and European Tour. In 2011 he clinched a Masters victory by two strokes. With three wins already under his belt this season, Schwartzel is hungry for another major and has determined that PXG will help him get there. Since arriving on the scene in 2015, PXG has become the talk of the industry with its disruptive no cost constraints, no time constraints take on product development. PXG is known for developing leading technology to deliver indisputable performance. And golfers, from weekend warriors to tour professionals, looking for performance have been fast to make the switch. In January of 2016 PXG announced an impressive roster of 12 tour professionals, including 2015 British Open Champion Zach Johnson, 2014 FedExCup Champion Billy Horschel and U.S. Women’s Open Champion Cristie Kerr. In less than a year, PXG’s pros have celebrated wins on all three major U.S. Tours. Although Schwartzel has only had a few days to practice and familiarize himself with his new PXG clubs, he will put several in play for the first time during The Open Championship at Royal Troon Golf Club in Ayrshire, Scotland. For more information about Schwartzel’s use of PXG clubs visit http://www.PXG.com. Parsons Xtreme Golf (PXG) is based in Scottsdale, Arizona. The company was founded by Go Daddy founder, businessman and philanthropist Bob Parsons in 2014. Leveraging breakthrough technology and sophisticated manufacturing processes that integrate high-performance alloys, PXG produces the finest golf clubs in the world. The company has over 70 global patents issued for its proprietary designs. PXG clubs are currently being played on all three major U.S. Tours. PXG’s professional staff includes PGA TOUR Champions Zach Johnson, Charl Schwartzel, Billy Horschel, Chris Kirk, Ryan Moore, James Hahn and Charles Howell III, Champions Tour golfer Rocco Mediate, and LPGA players Cristie Kerr, Gerina Piller, Alison Lee, Beatriz Recari and Sadena Parks.